Cute Design of ring. 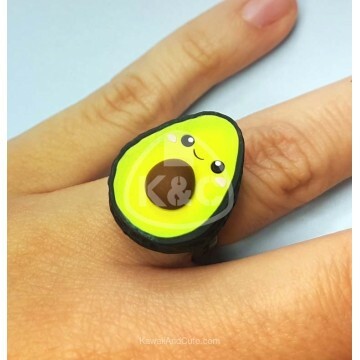 Cute avocados handmade with love and detail with polymer clay. Adjustable ring. Composition Polymer Clay and base made of metal.